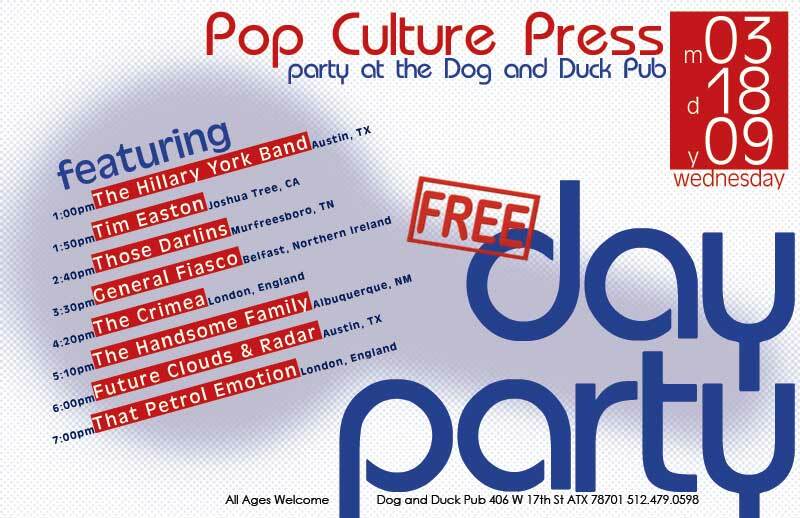 Come see us at the Dog & Duck Pub on Wednesday, March 18th. We’ll be playing a half hour set. I have it on good authority that the food here is great as well. Hey, you’ve got to eat sometime, right? I’m wishing I was going to be over there – roll-on some more UK gigs! Any idea if the SXSW shows will be available online? Enjoy yourselves, and see you soon! I wish I could as well…. Best wishes for the gigs, and I do hope you’ll be able to share some of it online…. how was it? and was the food good?! It was great! We’re in the hotel room now, getting ready for tonight’s slice of rock. Should be great! Previous PostPrevious SxSW slot – see you on Thursday.